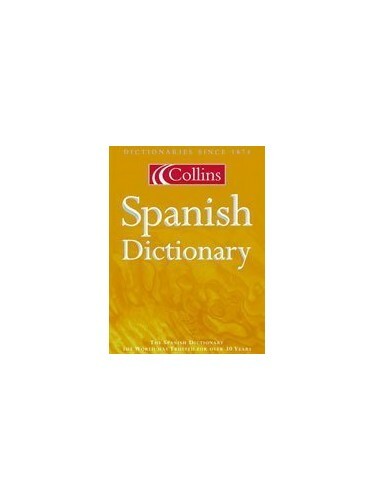 This up-to-date dictionary ensures the user has a comprehensive and accurate picture of the Spanish language. The three-column layout aids lookup and special layouts within this highlight idioms and most common grammatical constructions, both in Spanish and in English. This dictionary, revised to include the most up-to-date language in both Spanish and English, ensures the user has a comprehensive and accurate overall picture. The three-column layout aids lookup and special layouts within this highlight idioms and most common grammatical constructions, both in Spanish and in English. In addition, the most complex entries have been specially organized to be easier to use. This, coupled with thousands of entries and examples presented in a new typography, makes "Collins Spanish Dictionary" a modern, accurate and user-friendly Spanish-English dictionary. All the proven Collins features are retained - reliability, user-friendly language boxes, a "Language in Use" guide to communication, and up-to-date coverage.